University Council member Peter Lobban OBE. Mr Peter Lobban OBE. Born in Nairn, Scotland, Peter graduated from Edinburgh University in 1969 with an MA Honours in Econometrics. He joined the London Graduate Business School as a researcher, lecturer and economic consultant in industry and the City. In 1976 Peter joined CBI as Head of Economic Policy and then Deputy Director of Employment Affairs making frequent Parliamentary briefings and media interviews. In 1986 he joined Shell UK as Director of Shell Chemicals UK. 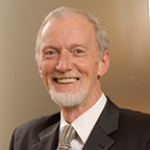 Following a period with Shell International, Peter returned from the Far East to the UK as a Director of Shell Exploration and Production in the North Sea and also became Chair of the UK Offshore Petroleum Industry Training Organisation coordinating the industry’s response to the Piper Alpha disaster. In 1998 he joined the Construction Industry Training Board Chief Executive also becoming Chief Executive of Construction Skills, following its establishment in 2004 and Chair of Sector Skills Alliance Scotland in 2007. He was also a Board member of Movement for Innovation and of Women in Science and Engineering. Peter is currently a Trustee of Building Research Establishment, an Honorary Member of City and Guilds and has been a Liveryman of the Worshipful Company of Constructors since 2009.